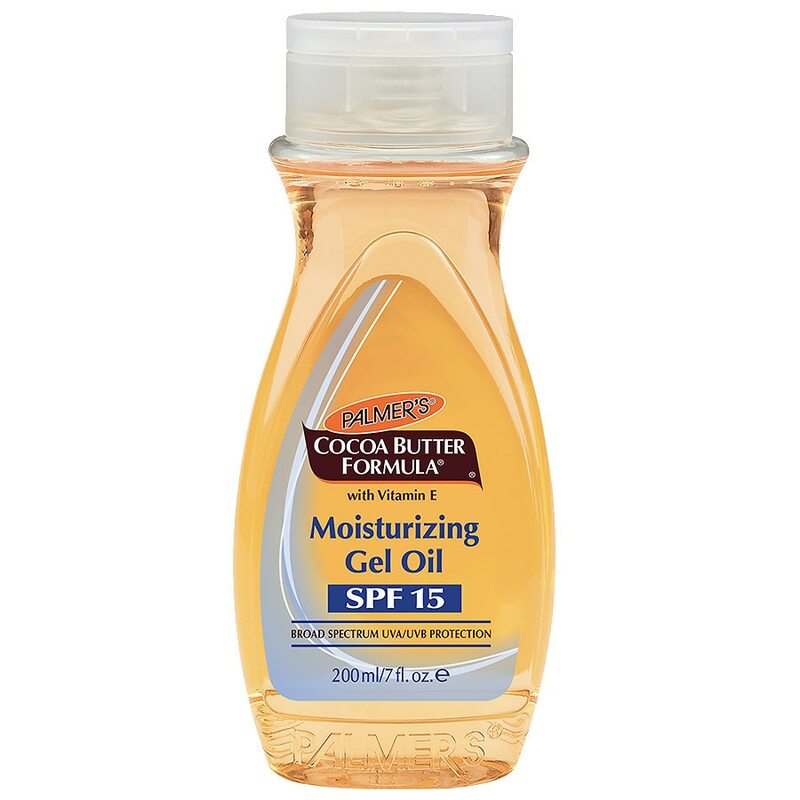 An advanced gel oil moisturizer that can be used all over the body. This unique formula absorbs quickly and contains an exclusive blend of pure cocoa butter, vitamin E, shea butter, jojoba oil, with the added benefit of SPF 15 UVA/UVB sun protection to moisturize, soothe and protect skin. Our innovative product may be used on dry skin or after shower or bath on damp skin as needed. Promotes healthy, radiant-looking skin while imparting a natural glow. Palmer's is against animal testing. © 2008 E.T. Browne Drug Co., Inc.
For external use only. When using this product keep out of eyes. Rinse with water to remove. Stop use and ask doctor if rash or irritation develops and lasts. Keep out of reach of children. Sun alert: Regular use of sunscreens over the years may reduce the chance of skin damage, some types of skin cancer and other harmful effects due to the sun. If swallowed, get medical help or contact a Poison Control Center right away..